Could global warming put lizards’ gut bacteria at risk? Climate change could put lizard populations at risk by reducing their gut bacteria, according to a new study. 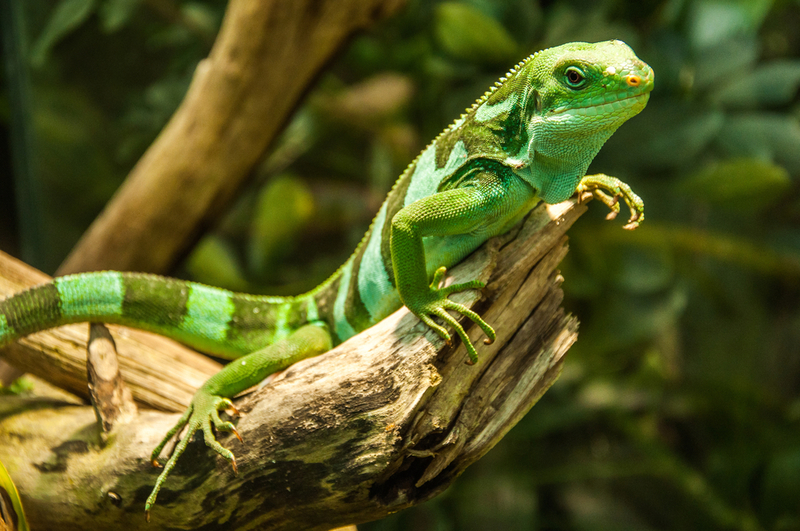 Scientists from the University of Exeter and the University of Toulouse conducted experiments to see how warming global temperatures might affect lizards’ health. They placed lizards in temperature-controlled enclosures, then tested their gut bacteria to see if it changed due to temperature fluctuations. What they found was that a temperature increase of only 2 to 3 degrees Celsius could cause the loss of more than a third of the lizards’ gut bacteria. The amount they raised the temperature was based on current projections for climate change. “Our research shows that a relatively small rise in temperature can have a major impact on the gut bacteria in common lizards,” said Dr. Elvire Bestion of the University of Exeter. The lizards living in warmer enclosures didn’t just have less gut bacteria. Their gut microcosms also showed less diversity, and their survival was at risk, the researchers said. The research shows a side effect of climate change that has not been well studied, Bestion and her colleagues said. Very few studies have been done to determine whether climate change will have an effect on gut bacteria in the animal kingdom or in humans, Bestion pointed out. More testing is needed, the researchers said – not just in lizards, but in other cold-blooded reptiles and amphibians. “Given the importance of bacteria to digestion, it is crucial that more research is now carried out to investigate this overlooked effect of climate change,” Bestion said.